Puff pastry isn’t an easy thing to make. I tried several times, always without success. Getting nervous, with butter everywhere, place the dough in the fridge several times… That’s not for me… I am everything but patient… Not my main quality… I need things to be quick and perfect. So I read plenty of recipes all over the web, each of them saying that’s it the easiest way to make homemade puff pastry. But I saw one actually that I completely trusted and I was right. I reduced butter quantity and add some turns to succeed in making this delicious puff pastry. Mix all the ingredients with your hand (If you are motivated) or with your foodprocessor. Take out the dough from your kitchen robot and place on top of plastic wrap covered with flour. Sprinkle some more flour on top of the pastry and cover with clingfilm. Refrigerate for 30 min. to 1 hour. 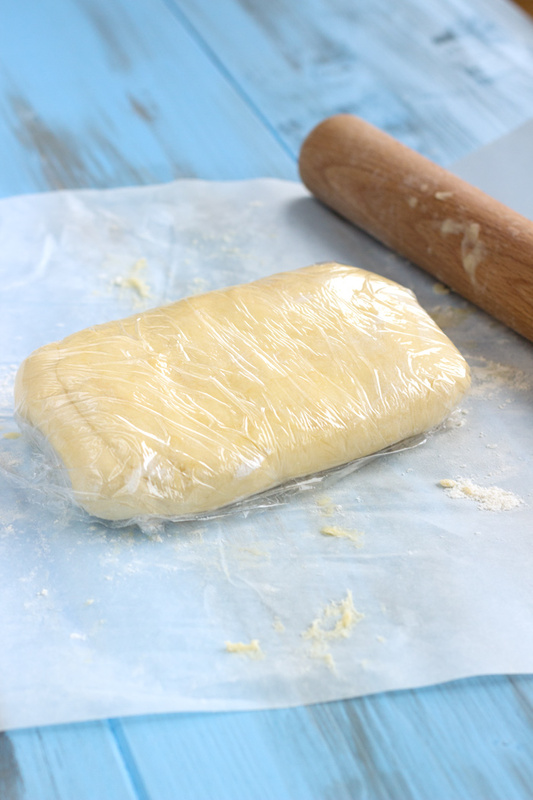 Remove puff pastry from fridge. 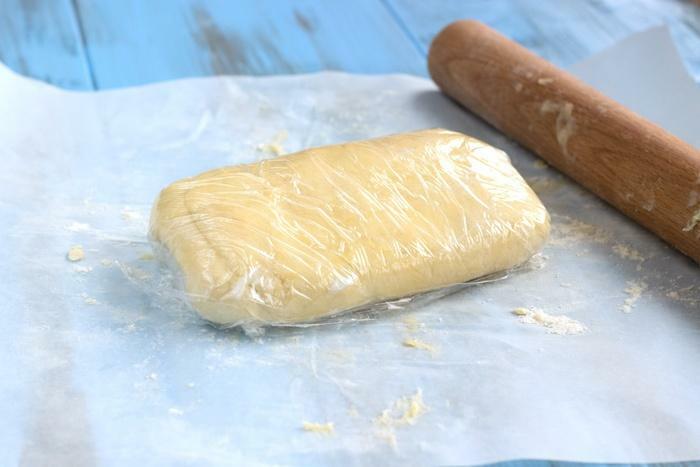 Roll pastry into one rectangle very thin. Fold on three parts. Sprinkle with a little bit of flour. Turn it (90°) and roll again to get another rectangle. Repete 8 times this operation.